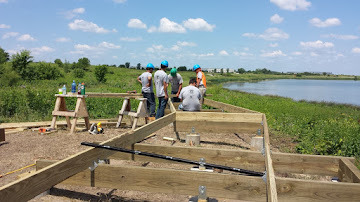 There will soon be another reason to visit the Patrick Marsh Wildlife Area in Sun Prairie, WI (map): a unique wildlife viewing platform in the shape of a bird in flight is currently being constructed on the west shore of the marsh by crews from Operation Fresh Start, a job-training program for at-risk youth. The official unveiling of the viewing platform is scheduled for 1 pm on Sunday, October 4, 2015. 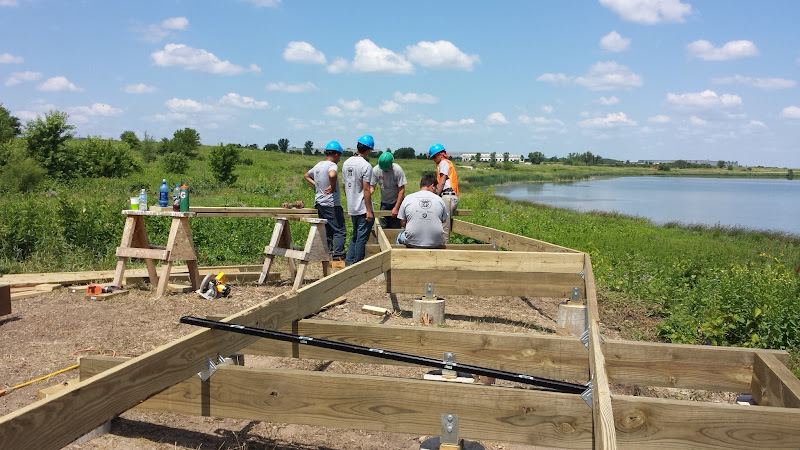 The new viewing platform and other improvements at the Patrick Marsh Wildlife Area are made possible under a partnership that includes Groundswell, Patrick Marsh Conservancy, the Wisconsin Department of Natural Resources, and Operation Fresh Start. 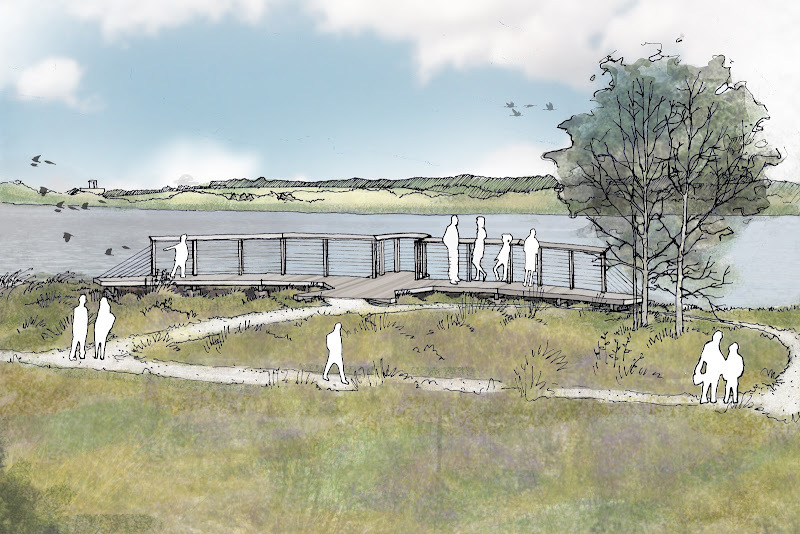 The viewing platform was designed by Shane Bernau of Ken Saiki Design, based on a plan Shane developed in 2006 while a student in landscape architecture at UW-Madison. 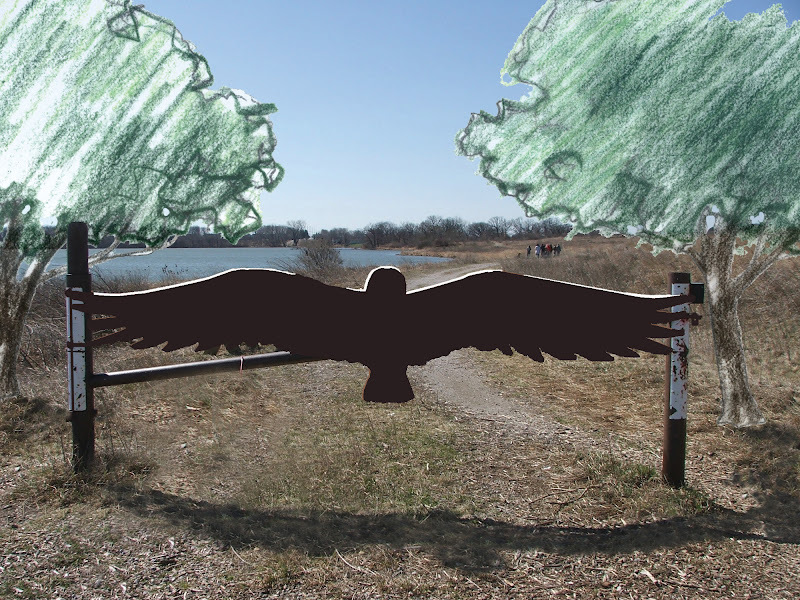 Funding for the improvements to Patrick Marsh has been provided by the Sun Prairie Rotary Club, Evjue Foundation, Rotary Foundation District 6250, Wisconsin Society for Ornithology, Courtier Foundation, Natural Resources Foundation, Dane County Environmental Council, members of Groundswell, and many community members. Fund-raising efforts are on-going. For more information about the wildlife viewing platform or the unveiling event, or to make a tax-deductible contribution to support this work, please contact Jim Welsh, Executive Director, Groundswell, at jim@nhlt.org or (608) 258-9797. Click here for photos of the ongoing construction.